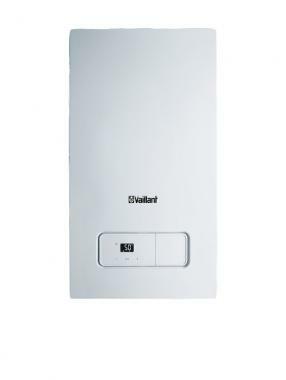 The Vaillant home 30kW boiler has been developed for the new build market but is suited for just about any home. It is a condensing wall mounted boiler that exceeds building regulations. With it being a combi boiler it is a water heater and a central heating boiler wrapped into one, this means that no hot water cylinder is required helping to save space in your home. It is a compact boiler with dimensions of 740mm x 418mm x 300mm and it comes with a two way siphonic condensate trap for simplicity of commissioning, a low lift weight and a high performance long life aluminium alloy heat exchanger, making the unit perfect to save you time and money on installation. This unit is flexible in where it can be placed with it coming with a wide choice of flue lengths, upward piping, frame accessory and no compartment ventilation necessary.